Most people acknowledge the vast wealth/income gap in America. The New York Times has written a plethora of articles about it. Politicians have even denounced it. Realizing a problem is one thing. Solving that problem is another issue. Anyone can talk about how terrible it is, or watch, and read, and listen to the awful effects it has on this country. We need to go above and beyond to offer solutions. Unfortunately, there is no single answer when it comes to solving wealth and income inequality in America. That doesn’t mean we shouldn’t try. Instead, break the problem down. Look at a single issue as a piece to solving the puzzle of wealth/income inequality. One piece of the puzzle that should be looked at is the lack of tax fairness in this country. Theoretically, America has a progressive tax. 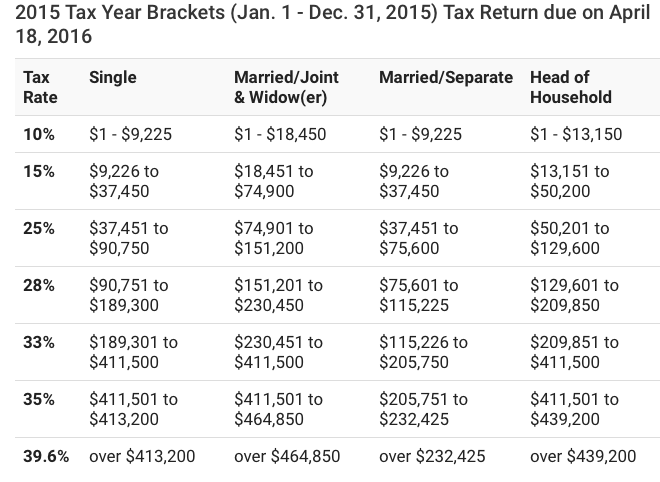 A single American who makes over $413,200 from Jan. 1, 2015 to Dec. 31, 2015 has to pay a tax rate of 39.6 percent. A single American who makes between $1 and $9,225 has to pay a rate of 10 percent. Although it sounds fair on paper, things tend to work out differently when push comes to shove. 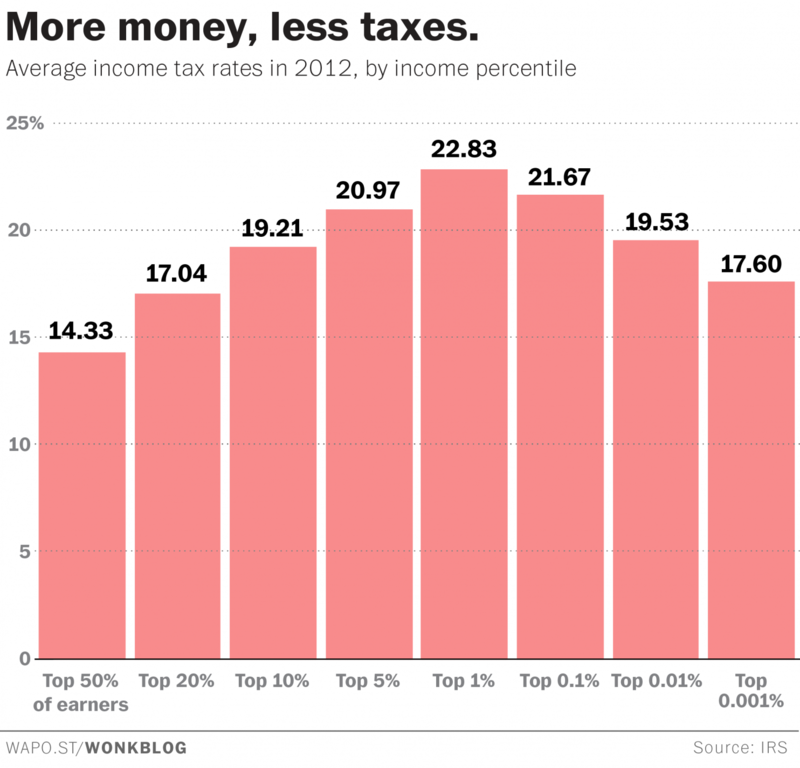 In 2012, the average tax paid by the top 50 percent of earners was 14.33 percent, according to the IRS. The country’s richest people tend to earn from their various investments. Investments are taxed at a much lower rate than income. The nation’s wealthiest residents also are eligible for many other tax breaks. Some may surprise you. These factors lead to Warren Buffett paying a lesser tax rate than his secretary, or Mitt Romney paying taxes at a 14 percent rate. Tightening up restrictions and closing these loopholes would create a fairer America. 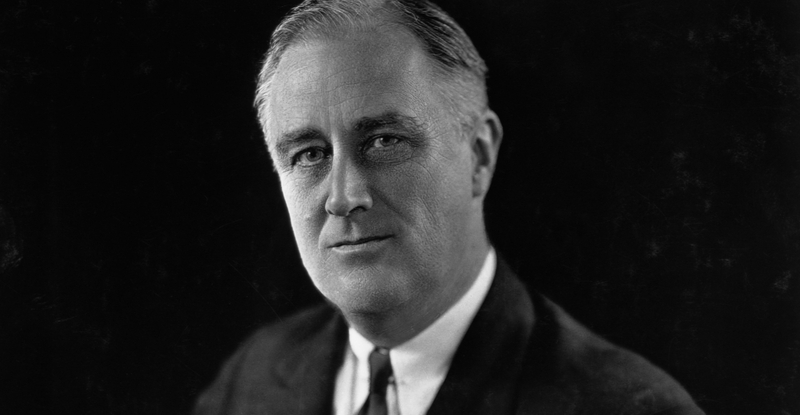 This doesn’t mean the tax rate has to be at a WWII level, when Franklin D. Roosevelt taxed top earners 94 percent. There are other options. With a concentrated effort, a difference could be made. It’s time for America to start putting the puzzle together.